With the introduction of Blue Essence and the new account leveling system which allows going beyond level 30, riot made a great leap forward in the right direction. Additionally, players receive capsules containing champion shards instead of Influence Points. I will explain why the new account leveling system is excellent, especially for new players. So let’s start the with a simple comparison. Now I’m going to explain why the new system is even better than it looks at first. 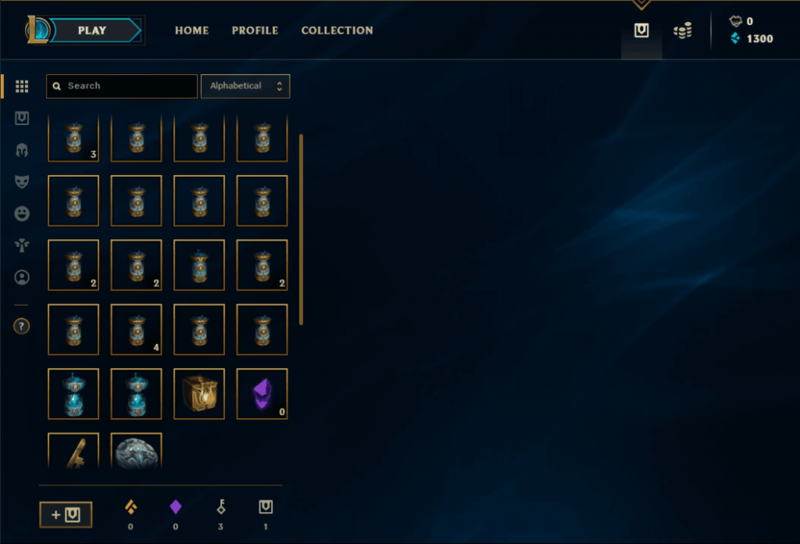 If you would open every capsule and then disenchant every single champion shard, you would receive around 20000 BE. That is already 3-4k more than with the old system, but there is even more. Instead of disenchanting every single champion shard, you should upgrade the champions you planned on playing anyway. Additionally, you need the cheap 450 / 1350 BE champs to get the 20 required champs to play ranked games, and most of them will be in your loot. There are currently 13 450 BE champions if you upgrade the shard you received each champion costs 270 BE instead of 450. Now let’s upgrade two 1350BE shards and two 3150BE shards (very realistic as you get much more out of the capsules). So you need three more champions, and you’ve got 11090 BE left which you can than spend on the more expensive champions and save again if you got lucky enough to receive the champion you wanted to buy on this smurf anyway. for all the non-mathematicians that haven’t already figured it out, the upgrade costs are equal to 60% of the original champion price. The new system is much better for newer players and good for everyone who wants as many of his favorite champions on his smurf as possible. The uncapped leveling system also feels more rewarding for players who have followed played League of Legends and had no progress for years (other than in ranked). On top of that active players get rewarded with emotes, gemstones and more loot.